stl-rosetteAt Gray Feed Services we understand how important your dog’s health, performance and happiness are to you and our complete and highly palatable dog foods have been specially formulated to provide the perfect balance of protein, carbohydrates, minerals and vitamins for optimum health and vitality. Our ethos is to supply nutritionally balanced dog foods using the finest and most wholesome ingredients of uncompromising quality to ensure optimum performance in the field whilst offering excellent value for money. As farmers ourselves it is important to us that our products support British agriculture and therefore the tasty beef in our dog foods is 100% British and certified as fit for human consumption whilst all cereals which can be grown in the UK are sourced from within the UK. 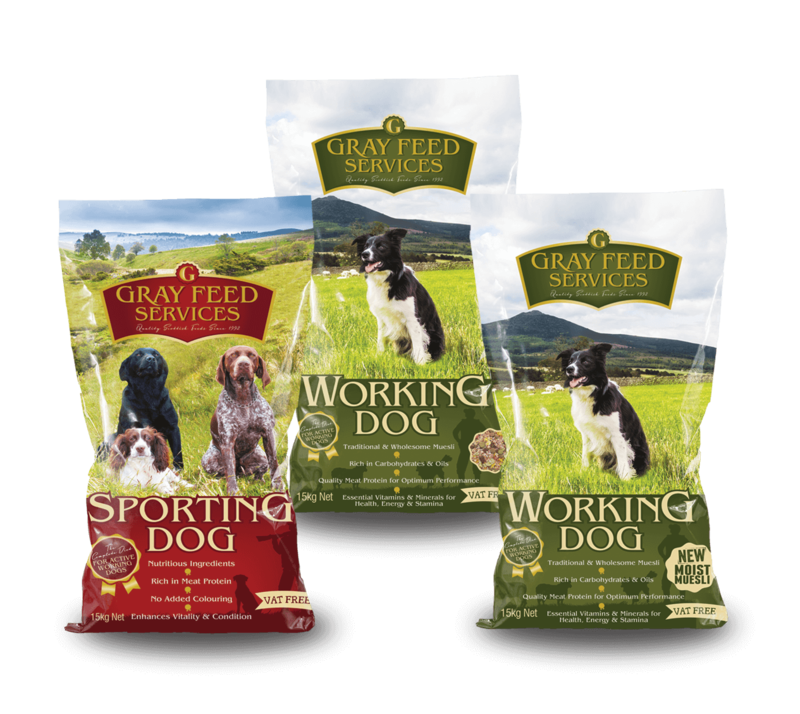 Whether you are a gamekeeper or farmer requiring your dog to be energised and ready for a full and active day’s work in the field or a dog owner with an active outdoor lifestyle then our wholesome and nutritious dog foods will ensure that your dog is in optimum health and condition from nose to tail.